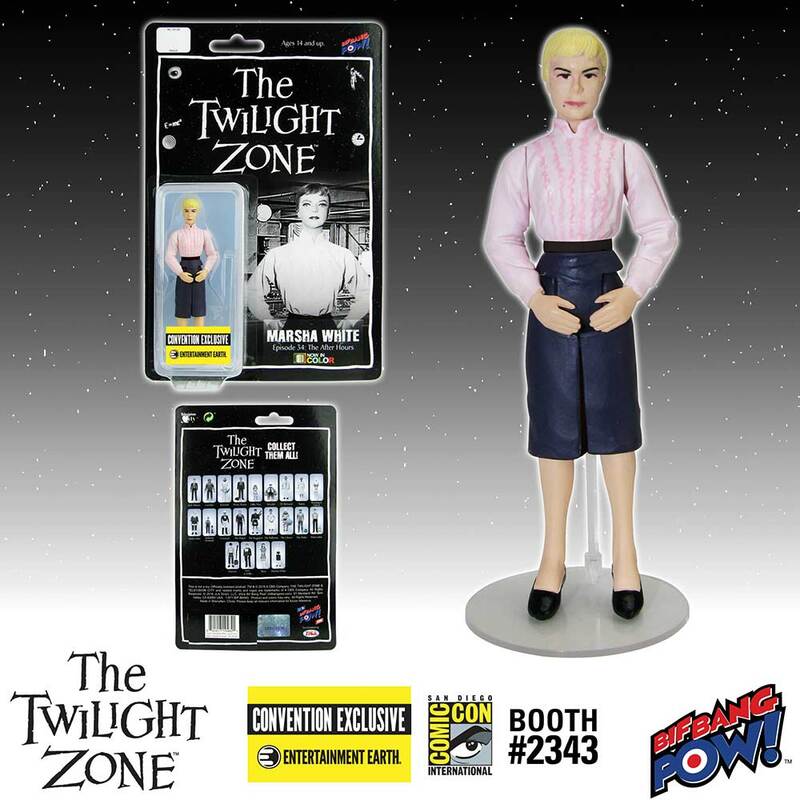 @BifBangPow: Enter The Twilight Zone with NEW Female Action Figures - Convention Exclusives! Enter The Twilight Zone with NEW Female Action Figures - Convention Exclusives! If you thought The Twilight Zone 3 3/4-inch action figure series 4 convention exclusives from Bif Bang Pow! only featured the men, you thought too soon! 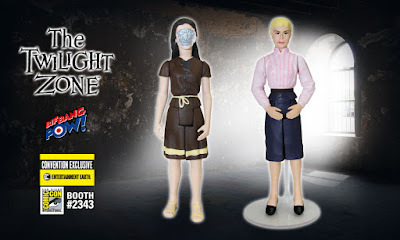 Two highly anticipated ladies from The Twilight Zone complete series 4: Alicia from "The Lonely" (episode 7) and Marsha White from "The After Hours" (episode 34). Designed similar to the action figures released in the '70s, each retro-styled color figure features 5 points of articulation (neck, shoulders, and hips). Each convention exclusive action figure is a limited edition of only 672 pieces - with each piece in the run individually numbered on a holographic sticker. 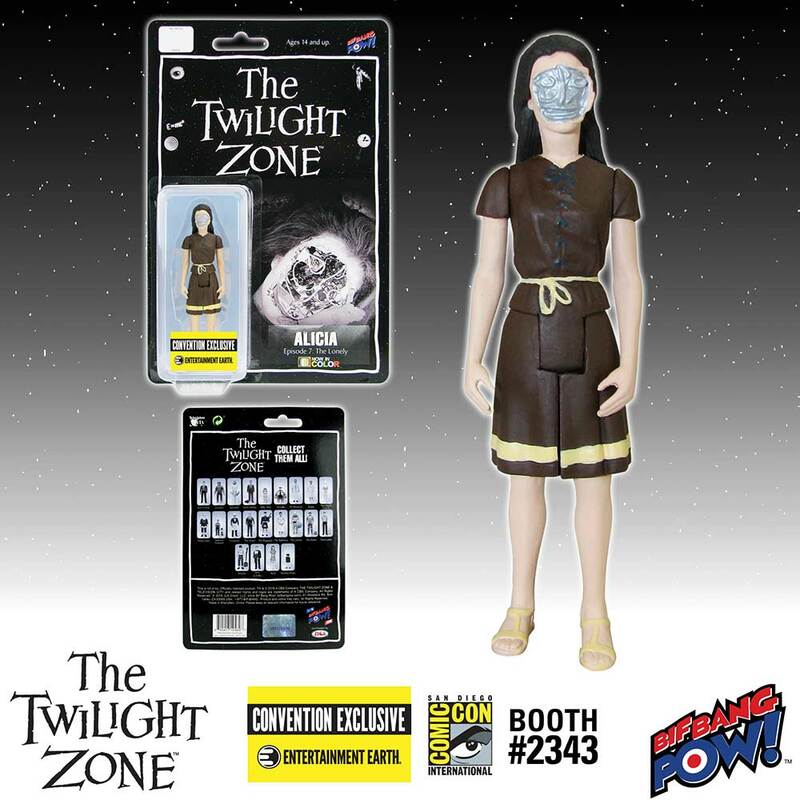 The Twilight Zone Alicia 3 3/4-Inch Action Figure In Color - Convention Exclusive celebrates the female robot companion in the heart-wrenching episode "The Lonely." This rare, limited figure showcases Alicia in her worst moment, after being shot leaving her mechanical facial wiring exposed. Is she just machine or something more? Only you can decide. The Twilight Zone Marsha White 3 3/4-Inch Action Figure In Color - Convention Exclusive pays tribute to the well-known department store episode "The After Hours" starring Anne Francis. Complete with a stand accessory, you will have to look closely to see if this figure celebrates the female shopper, mannequin… or both! Be sure to check out the rest of our series 4 color 3 3/4-inch convention exclusives action figures from The Twilight Zone, including Don Carter ("Nick of Time"), Jerry and Willie ("The Dummy"), and Hansen ("A Quality of Mercy).